Did the title get your attention? 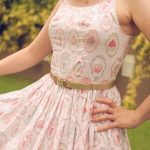 “Best” is a subjective word, so I want to be clear that it’s actually less about what the “best” way is and more about which way works best for you, and I found this method to both my favourite technique for a lined dress, and also kind of unique in that I actually haven’t come across others who do it this way. I figured out this method using trial and error after being fed up with other people’s instructions and now I want to share it with you to show you that invisible zippers aren’t scary after all. If you’re here from the B6413 Sewalong, welcome back! You’ll need a 40cm/16″ invisible zipper for your dress. You should be starting with a lining that’s attached to your dress already. All that’s left to do should be the zipper (and maybe the hem). 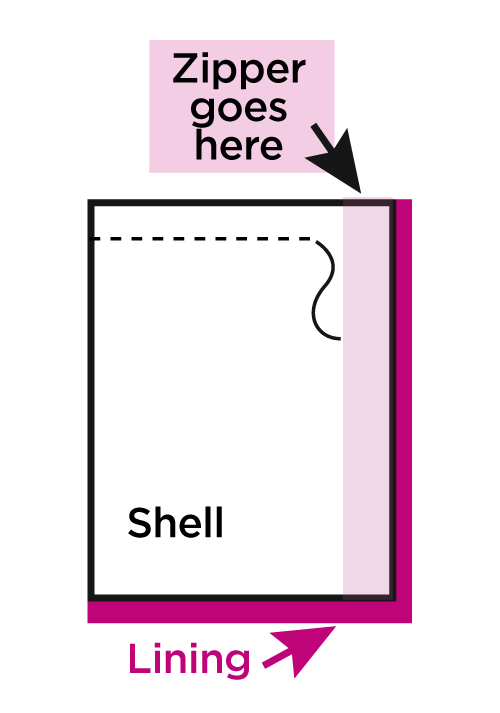 Make sure that the stitch attaching your lining to your shell isn’t stitched all the way to the edge. If it is, feel free to unpick it about an inch or so. So these are fairly standard presser feet. 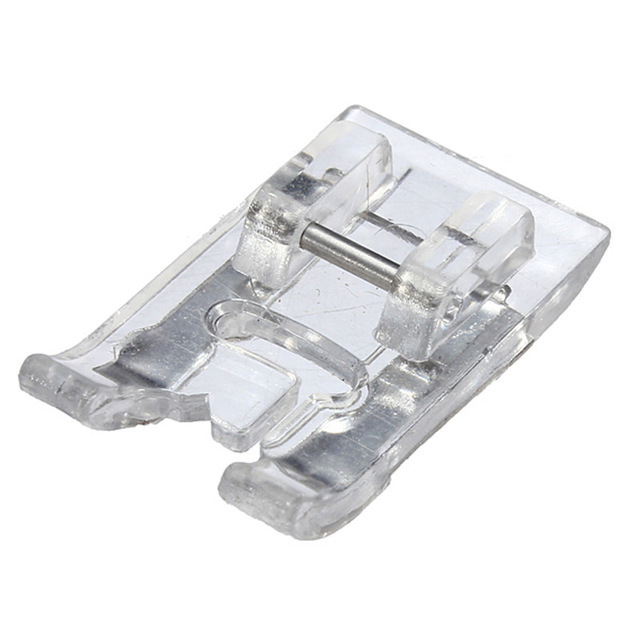 My mother’s machine came with one of these and the machine I got a few months ago came with one of these, so it’s probably not a stretch to assume you have a similar foot floating around in your sewing box if not being the main presser foot that you use for everything. Personally, I have the clear version above and I almost never take it off. 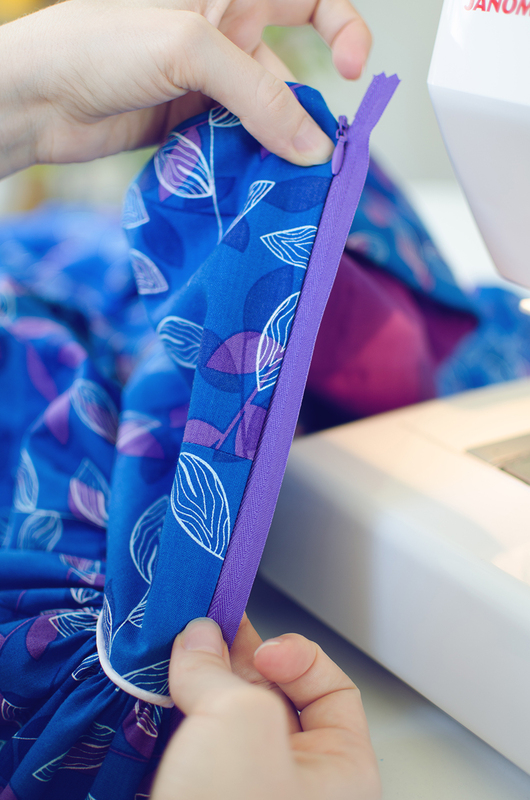 First, if you’re using a light fabric, you should always add a strip of interfacing to the wrong side of the shell fabric where the zipper is going in. You can do it at this stage or before you put your pieces together, it’s a matter of preference (I say this because I often forget to do it beforehand). 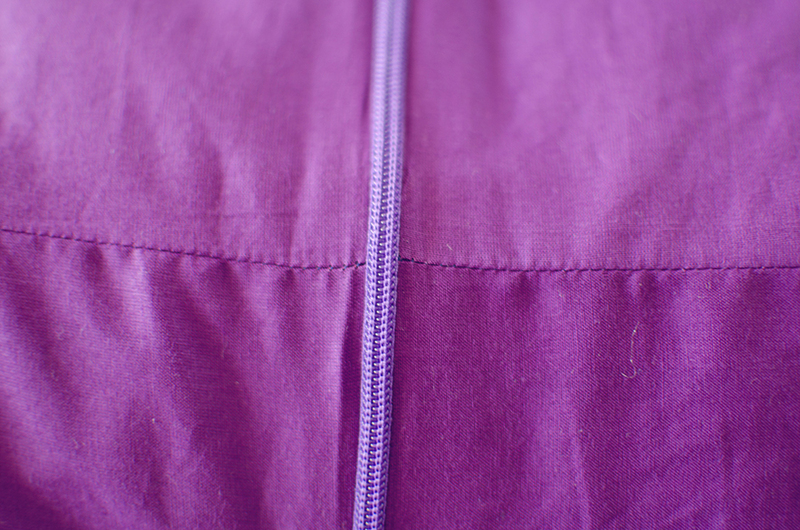 Line up your opened zipper against your fabric, edge of the zipper tape against the edge of your fabric and the teeth curled upward (like shown in the photo below). I know it’s highly unscientific, but I line up the zipper tape with the edge of the fabric. I know, I’m losing like half a centimetre here, but I don’t care. 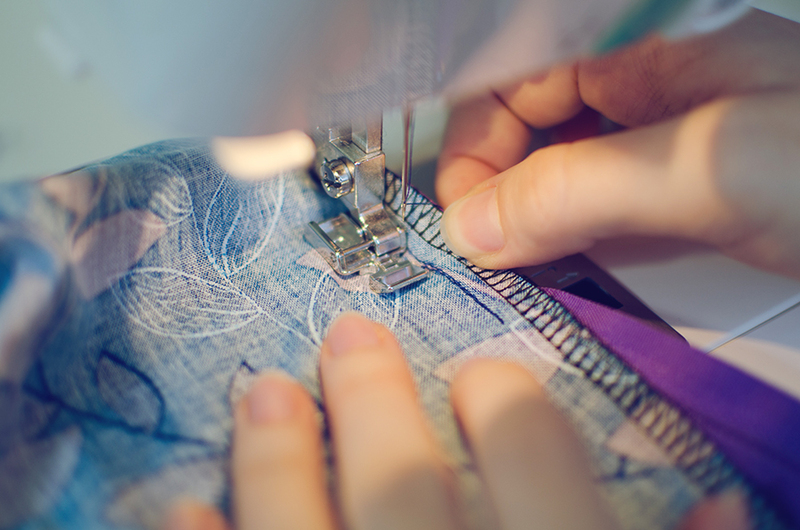 If you care, trim your seam allowance a tiny bit to compensate for this, or pin your zipper the appropriate distance away from the edge. You can pin the entire length in place but I usually don’t because the foot holds the zipper in place fairly well. 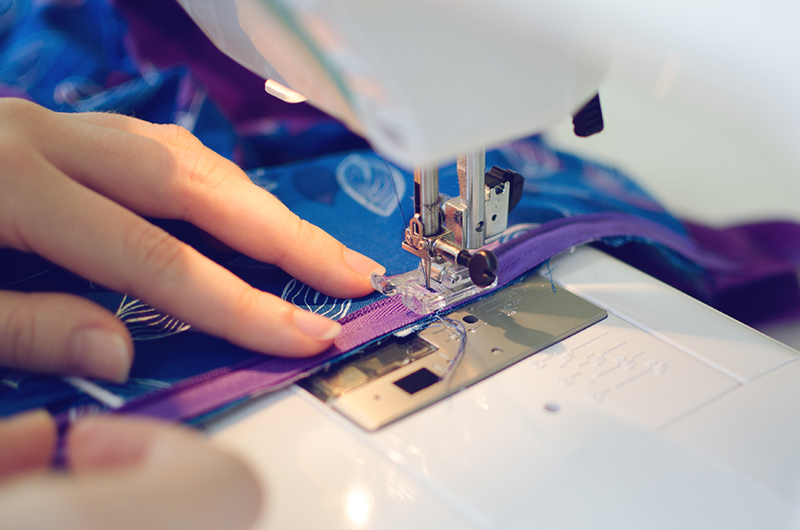 You want the upper stop of the zipper to start a mm below the seam where the bodice would join the lining, unless you want to add a hook and eye, in which case, move it down further. What I love about the presser feet shown above is that there is a little off-centre groove that fits the edge of the coils perfectly and this prevents your zipper from sliding around under your foot. 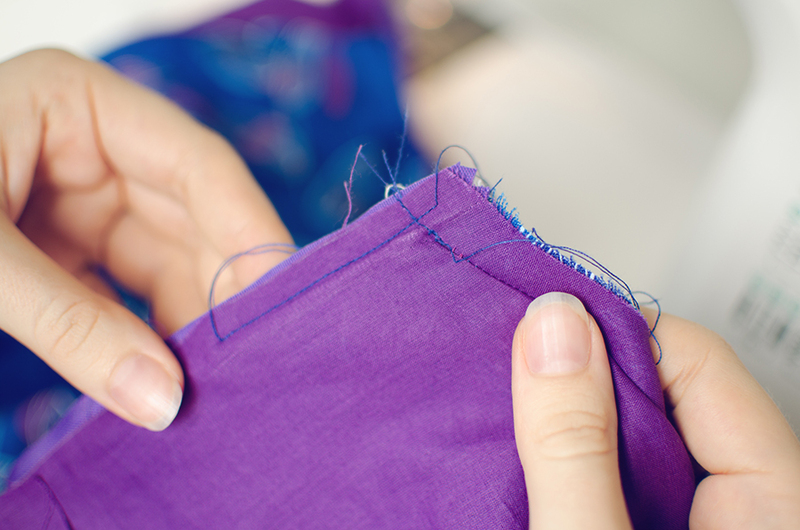 When you have your zipper pinned in place with the presser foot, adjust the width of your stitch. This is trial and error, so test carefully using the hand-wheel. You want to stitch in the ditch that was once hidden behind the coils (see diagram above). Obviously don’t sew too close or you’ll break your needle and don’t sew too far away or your invisible zip will not be invisible, a fate worse than death. Finding the sweet spot is the key, but it’s okay if you initially begin too far away from the coils because you can always repeat these steps and stitch closer after testing your zip. Some machines don’t like having invisible zippers pinned between a regular presser foot and the feed dogs and the stitch will come out a bit loose. To compensate, you can crank your stitch tension as high as it goes and I’ve found that usually solves it. It’s a bit hacky, but it works. Just don’t forget to turn it back down after you’re done. I always start at the zipper’s top stop and stitch down. 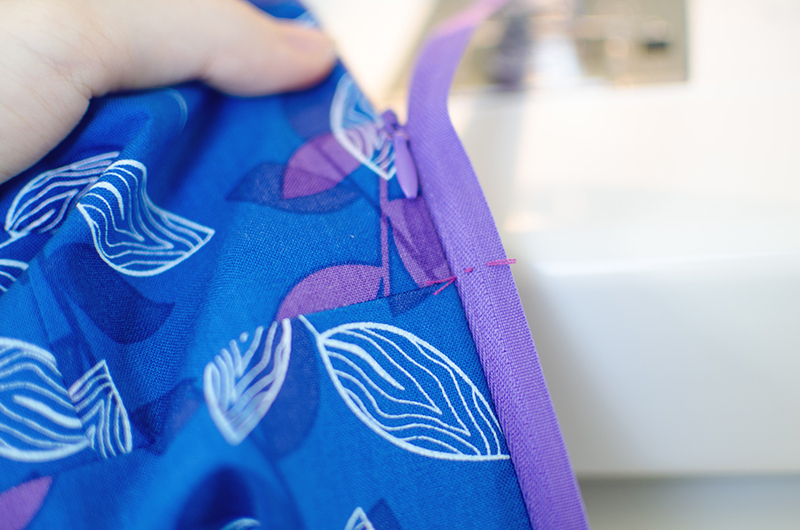 Make sure the seam allowance of your skirt is pushed up, so you can enclose it with your lining later. Double stitch when you reach the end to secure your zipper. This is why you don’t sew the lining to the bodice all the way around the neckline and leave an inch or so unstitched at the centre back. 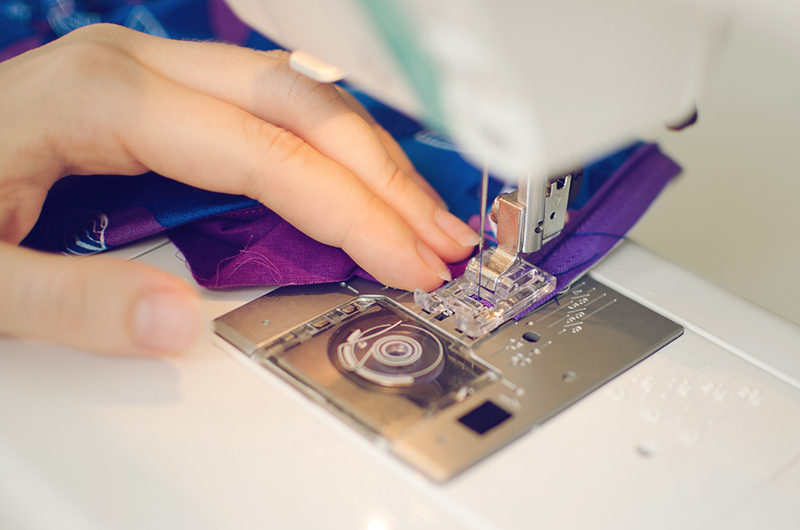 If your waist seam is particularly thick, it might be a good idea to adjust your needle width a little to not hug the teeth of the zipper so tightly just around this area. I have broken SO MANY zips in the past because I’ve continued stitching close to the teeth through very thick waist seams. Plus, I’m a fan of waist piping which makes this situation even worse because piping is so bulky. Since learning this trick, my zips have stopped breaking at these points. 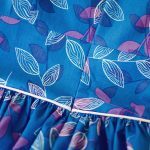 It won’t look seamless (ha) at the waist point, and you can see what I mean by looking at the photos in this tutorial, but it wasn’t an accident, I assure you, I purposely do this with all my zippers to some degree. Zip up your handiwork to test if you’re close enough to the teeth. You should see barely any of the zipper ribbon if you do this right. 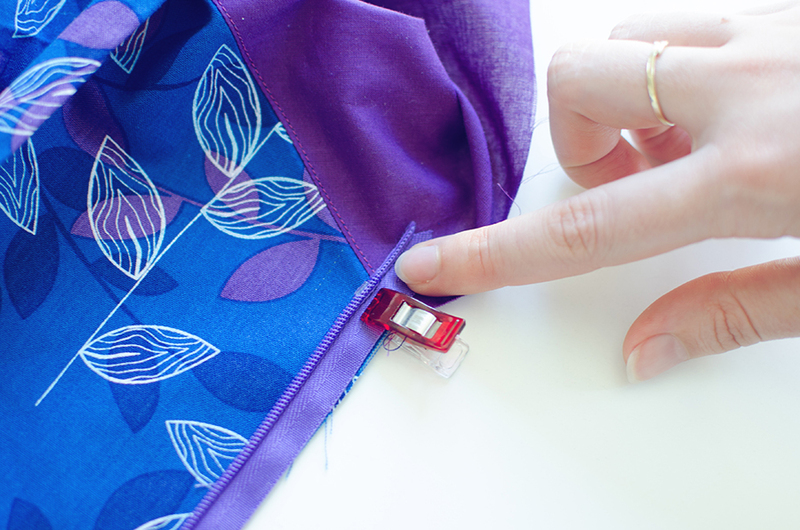 Stitch a tailor’s tack at the seam wherever you need to match your seams, as shown below. This is the point where you might consider using a clip or a pin to hold the zipper down at these points if you’re not confident with holding with your fingers. 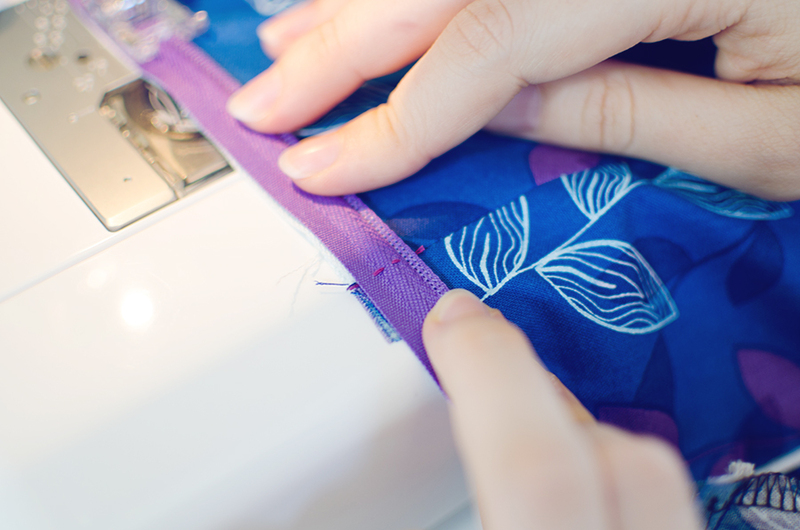 When you open up your zip, you want to align those stitches to the relevant seams as you’re sewing. I do this by eye because I’ve done it many times but it might be an idea to pin it specifically at this point. 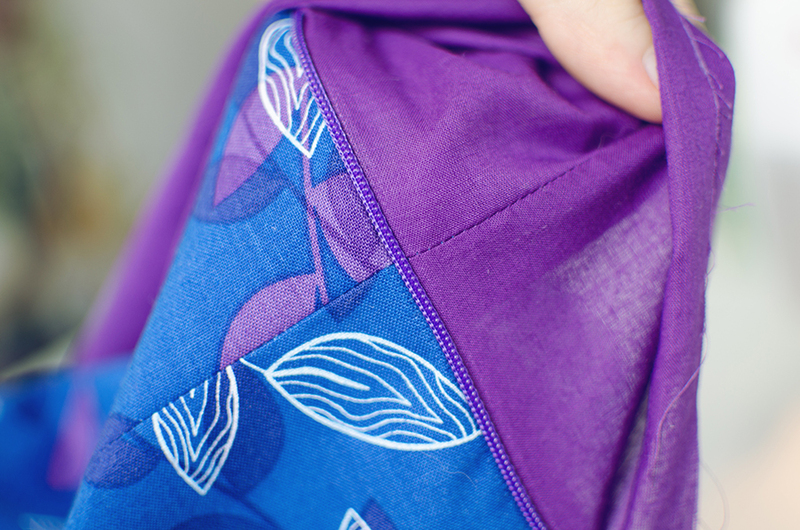 If you line up the top of the zipper and then at the intersecting seams, you should be able to perfectly match your seams. 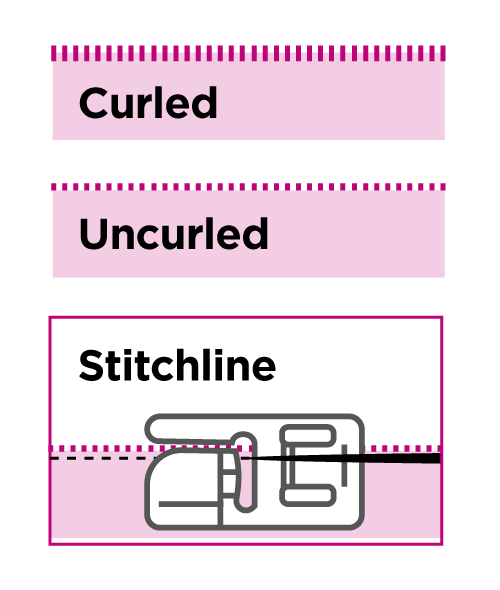 Adjust your stitch width again for the reverse side if necessary and stitch down the length of the zip the same way you did the other side. Zip up your zipper and admire your handiwork. You should not be able to see the teeth except perhaps right in that intersection between the skirt and the bodice. 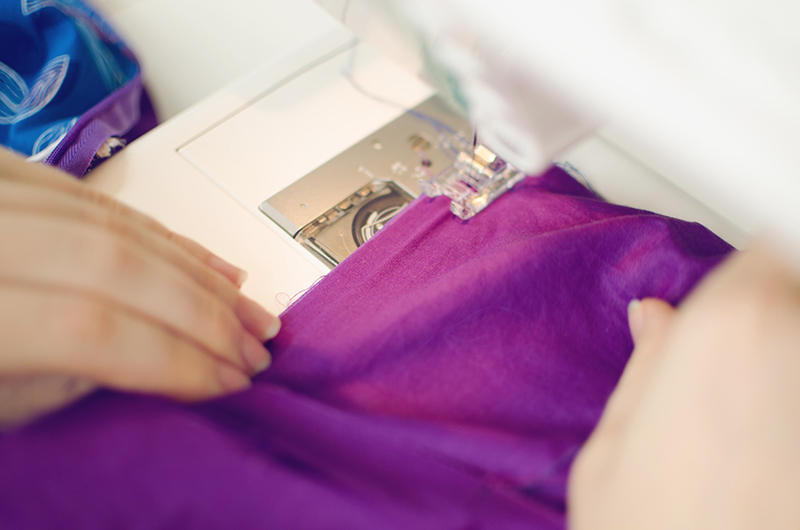 Now is the part when I cheat and advise the use of a regular zipper foot to sew the skirt’s seam closed under the zipper. 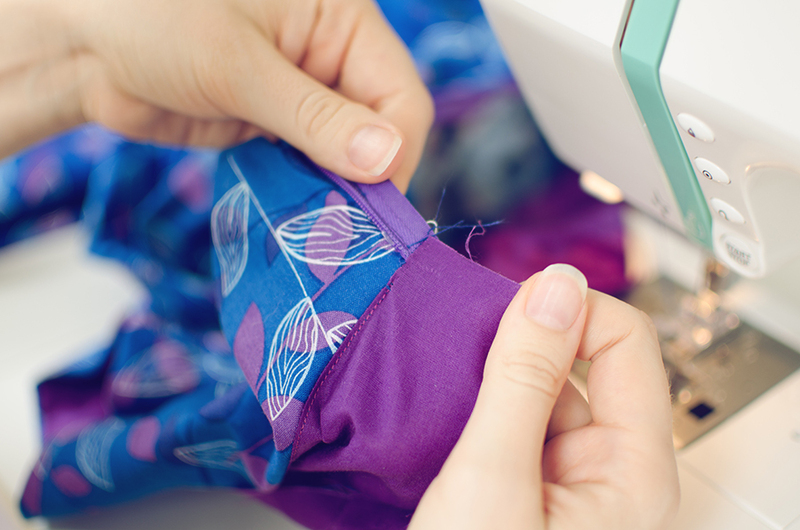 Because once you’ve sewn your zipper in and you’ve checked and it’s all good and beautiful and indistinguishable from any other seam on your bodice, you will need to stitch the rest of the skirt closed. 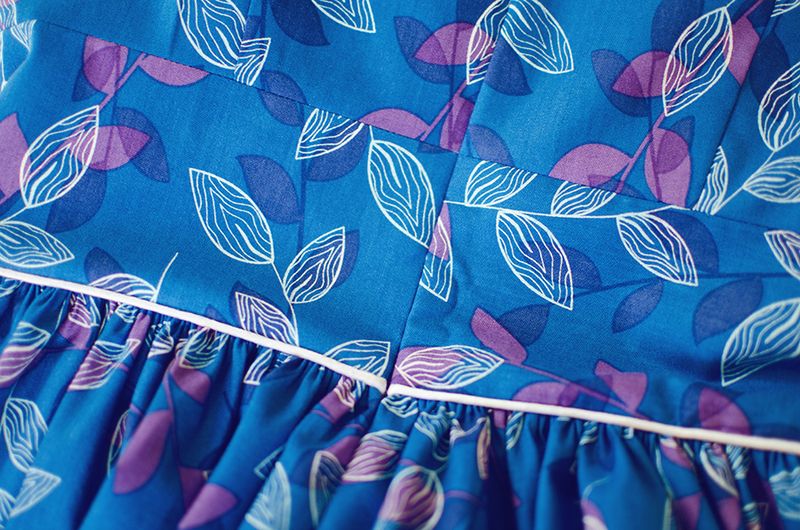 This is easiest accomplished with a zipper foot because when you turn the zipper on its side to stitch down the skirt, it’s just too big to fit under the presser foot. 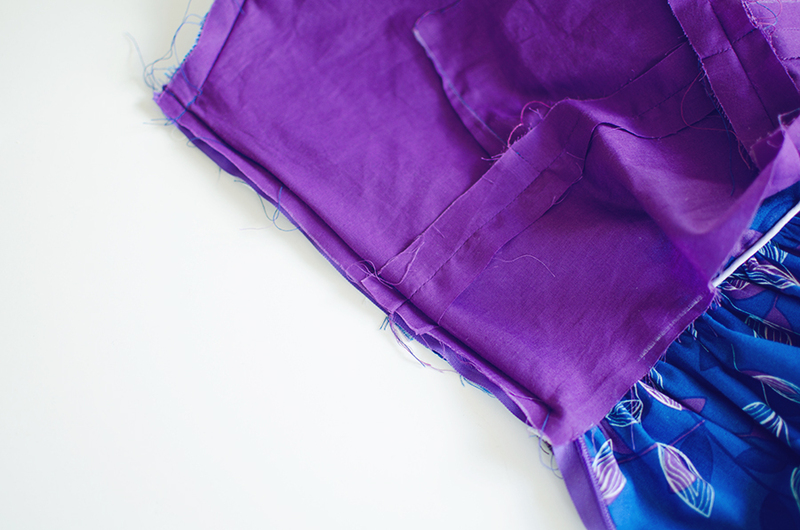 Now put the right sides of the bodice and lining together, lining up the edges of the fabric. Lining facing up, stitch all the way from the top edge of the fabric to about an inch away from the bottom edge of the lining. Make sure you don’t hit the teeth! 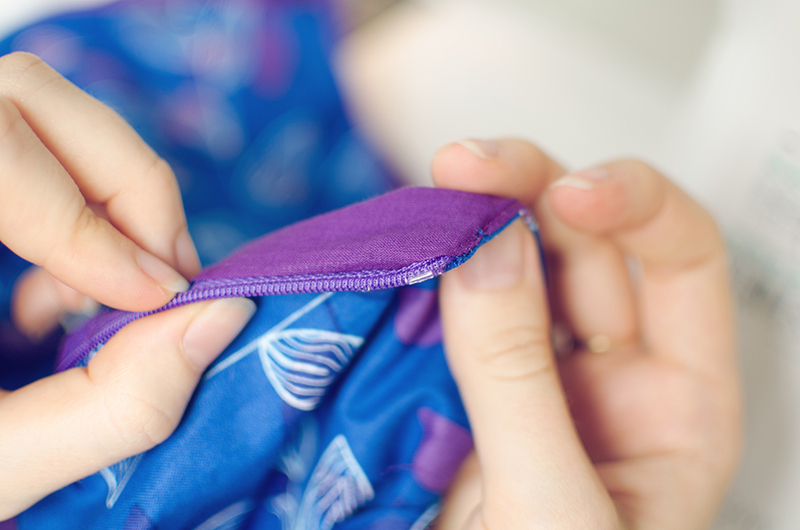 You are not sewing at the seam allowance, you are sewing somewhere in that space between the edge of the fabric and the zipper teeth which you should be able to sort of see and feel through your lining fabric (note the ridge in my fabric in the above photo). 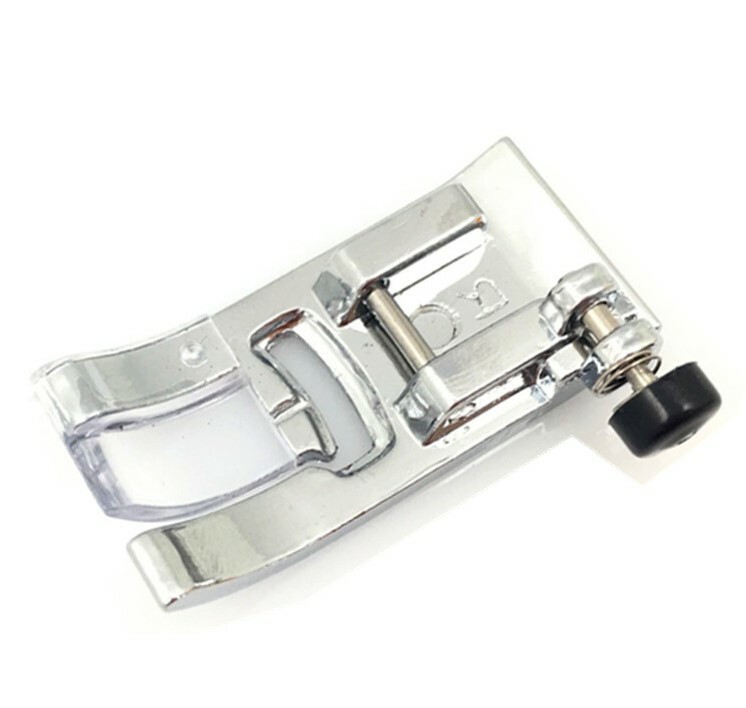 The presser foot will help hold the coils open if you set it up correctly and you shouldn’t have to worry about getting too close to the teeth. Repeat these steps on the other side. 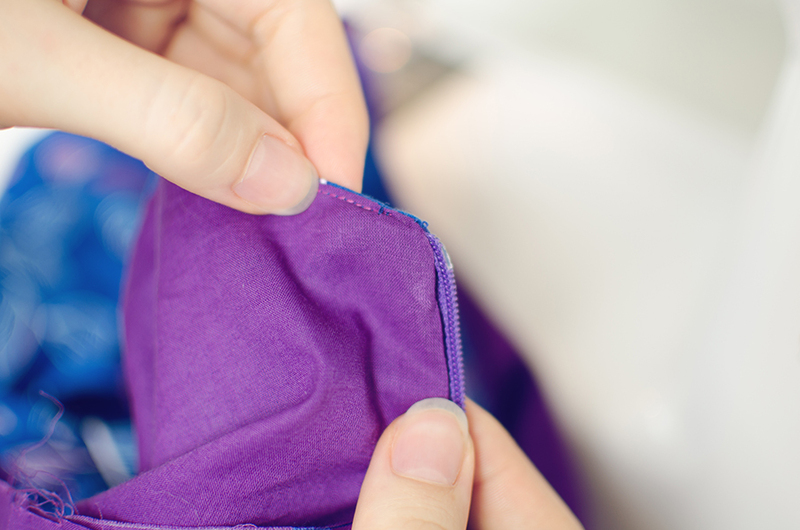 Trim the top corners of the zip so you can make a nice point when you turn out your lining. 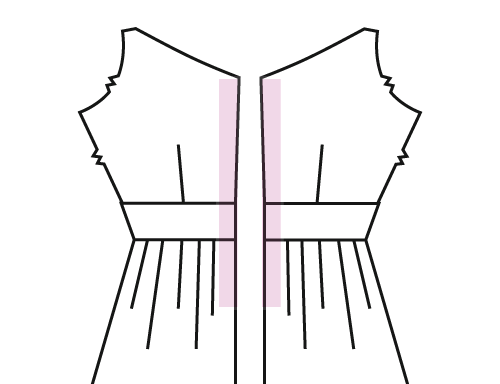 When you turn out your lining, you should have neat points at the top corners of the bodice and the zip should easily slide up and down. Should be a lot neater than slip-stitching the lining! 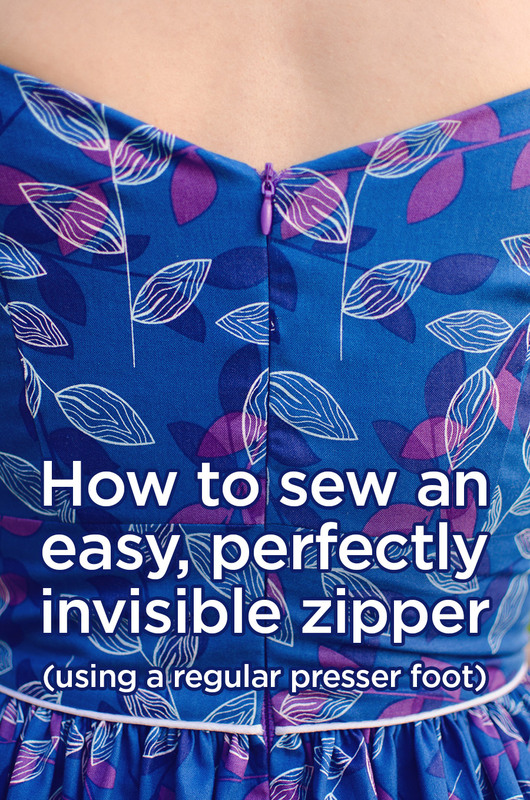 And that’s how to install the perfect invisible zipper. I don’t cover how to sew down the lining in this one because I guess it doesn’t have anything to do with the zipper, haha. 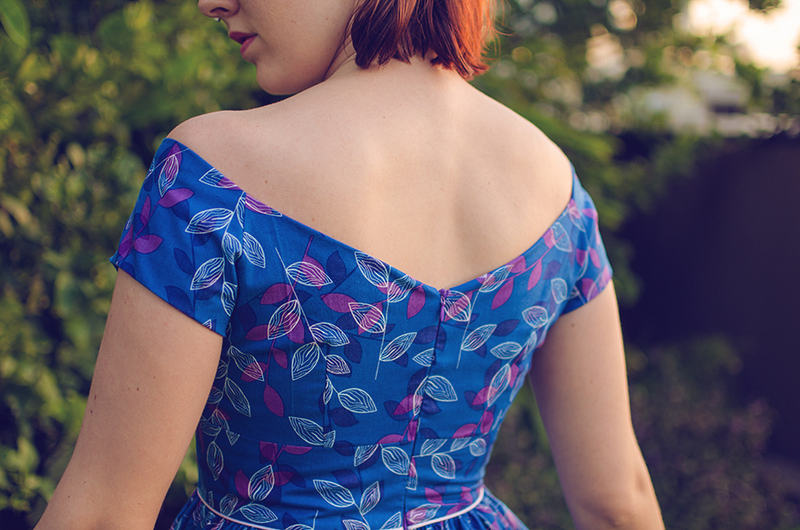 I would be slipstitching the lining down after my dress was almost finished though. The last photo of the zipper against the lining is confusing. How do you get from picture 12 (picture 1 being the first photo with hands in it) to 16? In 12 the bottom of the bodice lining is clearly open to turn out the lining but in 16 it looks like it’s attached to a skirt lining? I can’t devise what horoizontal seam is. 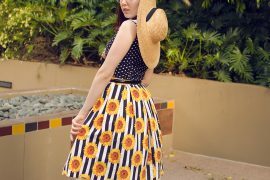 i guess what I’m asking is how is the lining attached to the skirt?